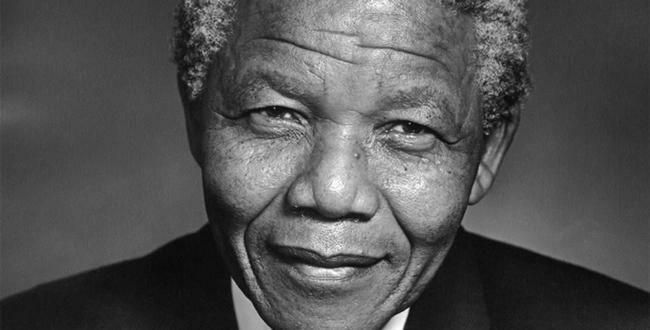 Nelson Mandela was the liberation movement’s rallying cry through 27 years of incarceration and country’s moral compass once he stepped down from public office. Nelson Rolihlahla Mandela, the last of the giants who led South Africa’s struggle against colonialism, is no more. “White supremacy implies black inferiority.” His words were truth to the powers and he devoted his life to opposing systems that protect and abet this superiority. It made him the most recognizable icon of struggle against oppression, injustice and discrimination all over the world. In 1944, Mandela joined the African National Congress (ANC) and participated in the resistance against the apartheid policies of the white South African government. He wanted to change the situation in South Africa where whites were rich and the blacks poor, and the laws which allowed this to happen. He wanted nothing less than banishing the “apartheid” system of governance which allowed one group to establish supremacy and dominate the other. In 1961, Mandela formed the military wing of the ANC, the Umkhonto we Sizwe (Spear of the Nation), which was involved in targeting and sabotaging government facilities, destruction of power plants, and interfering with rail and telephone communications. The motive was to scare away foreign capital and cut the external economic and trade links which were propping up the apartheid regime. Mandela and his colleagues were soon arrested and put on trial. During his open trial, popularly known as the Rivonia Trial or the trial that changed South Africa, Mandela spoke from the docks about economic and political injustices faced by blacks in South Africa in their everyday lives. He talked about how Africans wanted to live normal lives, be paid living wages, and perform work which they were capable of doing and not what they had been told to do. How poverty and the breakdown of family life had secondary effects; children wandered the streets of townships because they had no schools to go to, or no money to go to school, or no parents at home to see that they go to school, because the parents had to work to keep the family alive. This led to a breakdown in moral standards, to an alarming rise in illegitimacy, and to growing violence that erupted not only politically, but everywhere. He wanted blacks to have a just share in the whole of South Africa, a stake in society. The Rivonia Trial was watched by the whole world. But the words of Mandela had no effect in the courts run by an apartheid government. While the Afro-Asian nations strongly condemned the ongoing trial, the Western states turned their backs. Britain, the US, and France also abstained from the UN Security Council resolution passed two days before the verdict in the Rivonia Trial urging the apartheid government to grant amnesty to all political prisoners convicted or being tried for their opposition to apartheid. This emboldened the white South Africa, as it faced no serious challenge to it apartheid policies from Western states. South Africa may have been politically free, but Mandela knew that business of decolonization was not yet finished. Political freedom without economic and social justice is meaningless. Much needed to be done to reverse the consolidation of land, natural resources and wealth brought about by centuries of colonization. Black empowerment would only be complete when they had equal economic opportunities, when the pride and dignity battered by apartheid governments were restored. Mandela remained staunchly loyal to the people who supported his cause of liberation and justice. This was put to test several times after he became president, when he strongly defended his ties with Libya and Cuba. He let it known to the world that it was pure expediency to call on democratic South Africa to turn its back on Castro and Gaddafi, who contributed funding and arms to the ANC and assisted them in obtaining democracy while the West—wanting to protect its economic and military interests in white South Africa—looked the other way. Mandela knew when voice had to be raised and when silence was more effective. He was the liberation movement’s rallying cry through 27 years of incarceration and country’s moral compass once he stepped down from public office. However, the biggest legacy of Mandela is the redemptive power of forgiveness in a world beset by violence and turmoil. He taught us that complete victory lies not in rage and revenge but in forgiveness. The struggle, oppression, and long years in prison did not make him bitter or vengeful. He opted for reconciliation once the regime which subjugated his people came down. Vikas Nath is the Associate Director, Future UN Development System. He can be reached at [email protected] and via www.VikasNath.com.